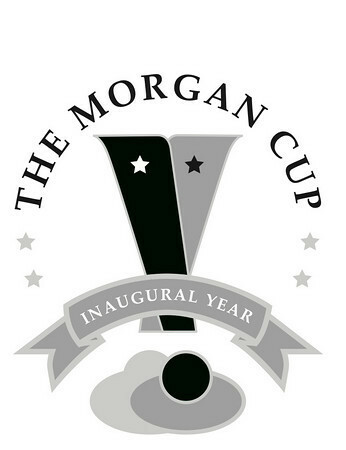 The inaugural Morgan Cup is less than two months away. Two great companies, TaylorMade Golf and Callaway Golf, have sponsored 16 of our fellow THP members in this once in a lifetime event. The two teams will battle it out over the course of a weekend at one of the nation’s premiere golf destinations, Reunion Resort in Orlando, Florida. We at THP know it can be difficult choosing which team you will be rooting for, so we decided to put together a little bio of each participant to help make your choice easier. We asked the participants five questions we thought would give you some perspective on their golf games and their personalities. 1. How long have you been playing golf and what is your competitive experience in the game? 2. What area of your game do you feel is your strength? Driving, irons and hybrids, short game, putting or something else? Do you rely more on distance or accuracy? 3. It’s the 18th hole and your match is tied. You are sitting in the fairway at 120 yards. Do you go for the pin or take the safe shot? 4. What has being sponsored by a company like TaylorMade or Callaway for an event like The Morgan Cup meant for you? 5. What are your predictions for yourself and your team for the August tournament? 1)	I first picked up a club when I was 7. My grandparents were members at San Diego CC and my uncle was a touring professional. They taught me the game from an early age. I’ve been around the game most of my life. I started playing competitive in local money matches in my early 20’s. I’ve played in numerous scramble tournaments, winning close to 20 of them. My partner and I finished 2nd in local qualifying in the ESPN National Golf Challenge out of a field of 50 teams. 2)	Length and putting. I rely more on distance off the tee and accuracy into the greens. 3)	At 120 yards, I am accurate and I am going at the pin. I don’t play afraid. I play to win. 4)	Being sponsored by TaylorMade has been a dream come true. When I got the call from THP and was selected to be Captain of Team Paradise and the letter from TaylorMade showed up in my mailbox, those were 2 of the best days of my life that I will never forget. I know just how fortunate I am when I am telling friends and family about it and their eyes get huge and I can see how proud they are of me. It’s been a fantastic experience to be associated with TaylorMade. They know how to take care of their staffers and cater to every need I have had and go the extra mile in doing so. It’s truly been an experience of a lifetime and I feel very fortunate to be one of their staffers. I just can’t thank THP and TaylorMade enough for the chance to be a part of this. 5)	My team will be well prepared for The Morgan Cup and facing Team Hackers in August. From the course to the competitive side to knowing themselves and their games, and having the best equipment and apparel in the game, they will bring everything they have. I will be a good ambassador for THP and the great people behind it as well as all of the forum members and supporters and we hope to put on a show that everyone will be proud of. My ultimate goal is to hoist The Morgan Cup with my team on Sunday afternoon. 1)	I’ve been playing golf since I was 12 years old but got serious about it when I decided to try to qualify for the golf team in 10th grade. I made the team and went on to be a 3 year varsity player for my school. Since then I have played in several tournaments with a few being relatively serious and competitive but mainly more for the fun and camaraderie of the sport. I continue to play at least once if not 2 to 3 times a week during the summers. 2)	Keeping the ball in play and eliminating huge mistakes would be something that I consider my biggest strength. Iron play is also a strength most of the time, but even when my game is not clicking I’m still able to keep the ball in play and put up some decent scores. Refusing to quit on a round also allows me to turn a would be poor day into a decent day on the course. I rely more on accuracy because I’m not a bomber by any means. I can knock a few out there once in a while but overall accuracy over distance for me. 3)	Golf is all about calculated risks. Chances are my opponent will be hitting into the green first because I once again hit one past them so I would weigh my play based on what they did. If they are on the green and it’s time to put the hammer down to win the match, you better believe I’m going right for the pin. 4)	I have always looked up to the players on the PGA Tour for their golf game but also for the luxury of having sponsors that supply them with all the tools they need to play the game. Callaway has been a leader in the golf equipment industry since day 1 and to have their name and their company behind a player like me is just a dream come true for me. I have no doubt that I’m playing the best equipment made and that peace of mind helps me to play my best. I am so honored and feel so blessed to have this opportunity. It means more to me than I can even explain in words. 5)	I know that my game and my equipment will be at the top come August 19-21. Team Paradise has a very strong bond and there is not a single one of us that will settle for a losing effort. Nobody on our side will give an inch in their matches. We are all going to dig in and fight tooth and nail for this win and that is what will set us apart come tee time. I’m not discounting our opponents, but they can’t match the heart that we are going to be playing with. My prediction for myself is a perfect 3-0 weekend. My team prediction is a Morgan Cup trophy to bring home when it’s all said and done. Interests: Spending time with my wife, Golf, Basketball, Softball, and THP of course! 1)	I have been playing golf for just over 7 years. I was working at a Country Club and it was free so I figured why not try it? I quickly became hooked. The only competitive experience I have is playing with friends and family for small stakes. 5)	My confidence is very high right now. I know the first matchup and I think that is going to be a tough one that will come down to the final holes. I know the styles of all the players in that match and I’m excited to see what happens. I will personally hold my own in my matchups. I have a solid game and I know when I just need to put the ball in play. I have a feeling that Team Paradise will be the one hoisting the Morgan Cup on Sunday but I think it will be a closely contested battle. I am not a big trash talker and will let my game do the talking. 2)	I need to be accurate because I am not a long hitter. I don’t over power the ball like others out there. When I am playing well my short game and putting are my strengths. 3)	While I would love to fire at the pin, my goal would be to get the ball on the green and have a putt to win/tie the match. With only 120 yards to go and a wedge in my hand, I would hope that it would result in a realistic opportunity to make the putt. 4)	Being chosen to play in an event like this is a once in a lifetime experience. Playing in The Morgan Cup and being sponsored by Callaway Golf just takes it to a different level. Their apparel and equipment are all top quality and it has been a pleasure being sponsored by them. 5)	I think it will be a close contest and it could come down to the final match. I have all the confidence in the world that I will be able to win some points and help my team win this inaugural event. 1)	I have been playing golf for 38 years. I began going to county courses at the age of 12. I played High School golf, winning several small invitationals, and finishing in the top 20 in a large metro conference. I played in the state High School golf tournament my senior year. I have played a number of times in the WI State Amateur qualifiers, qualifying once for the competition about 10 years ago. I have played several club events over the course of my golfing life as well. 2)	The strength of my game is consistency. I typically score in a fairly narrow range, rarely having either blow up or very low rounds. I drive the ball straight and avoid trouble situations. I am accurate with mid to short irons and chip well. Unfortunately my putting is often lacking. I have to be accurate because I no longer have the distance I once did. Power is not my game. 3)	It would depend on the circumstances. In general, unless the pin position is extreme, I’m trying to knock that ball in there stiff. 4)	For the first time in a very long time, I feel I need to be accountable for my golf game. The company has gone above and beyond, along with THP, to make available to the participants a chance of a lifetime. In a way, I’m a little surprised at how the event and the sponsorship has changed the way I approach the game, and also my everyday life. I’ve taken some heat on the forum for chronicling my weight loss to some extent, but I’m proud of how that has gone. I’ve not been disciplined in my eating habits for quite some time, and knowing I will be representing a sponsor has driven me. The weight loss has allowed me to practice harder than I’ve practiced in 25 years. I also feel accountable to my teammates. No one wants to be the guy that lets his partner down. Finally, being the oldest participant in this event by 12 years, I want to make a statement for the average Joe golfers of my generation. I hope to show my sponsor and the rest of THP that there is more to the game than bombing it out there. That during a reasonable test of golf, with quality equipment, experience and savvy can stand up to youth and power. 5)	It’s tough to make predictions without knowing more about the matchups. I’ll be honest and admit I have concerns about the heat. That is certainly a wild card for an older guy from a northern climate. But I fully expect to give any opponent a tough match because as I have stated earlier, I don’t often play terribly. I think my experience will give me a bit of an edge when the pressure is on. I think how I handle the pressure will be an advantage. I also expect my team to win based on matchups I envision. This is based on personalities I see expressed on the forum. 1)	I started playing in the 8th grade and continued through 11th. Then I met a nice girl and didn’t play for a long time. I decided to get back into the game after finding a good deal on a driver. A few days later I found THP and was hooked. I don’t have much competitive experience which is probably why I will be overlooked. That will be on them. 2)	I feel my strength lies in my long game lately. Driver, hybrids, and putter keep me going. I’m not afraid of the long shots or to take shots at tough targets. I love talking, staying loose and having a good time. That is probably my biggest strength and one I needed to be reminded of at the last outing. 3)	The only safe shot at that point is the pin. Count on your opponent doing the same. You can’t wait around for someone else to do something great. Unless they are wet lol. 4)	This is tough to put into words. I’ve always had some part of me that regrets a lot of the times that I just sat on the sidelines or relied on natural ability to get through something. I am a motivated person but there were times where I just sat back on the sidelines. I’ve had a rough few months and this has ignited a fire I wasn’t sure I still had. Callaway is a giant in the industry and they are investing time and faith into me. I am not a single digit handicap but they have put faith in THP and all the Callaway staffers. That shows their belief in not just the business side of golf but also its core value. You don’t have to be a pro or great golfer to be loved by Callaway and that is something I will never forget. For me it’s a turning point and a road to great things going forward. 5)	Pain! I had to quote Mr. T. I predict I’m going to surprise a lot of people. I identify with a lot of people on the forum trying to get their games back and move forward. I will definitely be drawing a lot of strength from the forums support. 1)	I started at 11 or 12. I took a 6 year break from 19-25 when I first moved away from home. Growing up I lived about 150 yards from the first tee of the golf course. I got into golf when a bunch of my hockey buddies picked up the game for summer fun. I spent my first year playing golf left handed(just like hockey) then for Christmas I received a set of right handed clubs. I made the switch but continued to putt left handed for a few more years. As a junior I competed in the Jr. Amateur 3 times, making the cut once. I won my age bracket at my local club championship once as well. As I got older I have played in some Match Play and the Club Championship at my local course. 2)	Despite the obvious answer, I feel that my strength is with my irons. Yes I have a lot of distance with my driver and woods, but I really feel that my true strength is my iron play. My weakest part is my putting. I tend to rely on a combination of distance off the tee and accuracy with my irons. 3)	I would always go for it. Anytime you have a wedge in your hands you should be going for it. It would also depend on where my opponent is. If they are in the bunker or something, I may play it safer. Generally though, I play to win and not to hope I don’t lose. 4)	It is absolutely mind blowing that a company as big and as well known as TaylorMade has made the commitment to 8 average golfers like myself. Companies like TaylorMade get it. They want their clubs in as many people’s hands as possible. I cannot count the number of dropped jaws I have seen when I tell people about this event. Seeing what tour players get treated like and getting to pick anything you want from their current lineup is fantastic. 4)	Being sponsored by TaylorMade is something that I never thought was possible for an amateur like myself. The company has been wonderful in their communication with the players in The Morgan Cup, and the personal touches that they have provided for us throughout have been really special. It’s something that I will never forget. 5)	I expect to compete hard on every single shot and be a great representative for TaylorMade and The Hackers Paradise. For my team, we expect nothing else except for being able to lift The Morgan Cup on Sunday night after we win. Tomorrow you will have the opportunity to meet Team Hackers as well, as they prepare for the Morgan Cup. Excellent idea and well done guys!!! I enjoyed reading and learning about Team Paradise!! Great idea, this puts the players in a much better perspective from a viewer standpoint. Thanks for sharing. Thanks for the bios, I just finished reading them with my morning coffee and look so forward to the next month. The videos and banter already has been great in the MC thread and should just get better and better. The more we know about the players the more we can pull for them all, which I do pull for them all, but I support Team Hackers. Morgan Cup rocks. Between the video and the bios I have a better understanding of these guys. Nice idea, makes this a little more personal. This was great to read; thanks for putting it together! Great stuff. It’s nice to meat the players. Thanks for posting this. Wonder stuff by my team Paradise brothers, I live you even more now! Hawk&CL thanks for putting this together! Awesome job and thanks to CL and Hawk for the help! Great to read everyone else’s responses, I guess I should have said more in my responses because they look really short in comparison to the other guys! I’m also looking forward to reading the Team Hackers’ bios tomorrow. Who are these guys? lol. Turned out really well. Looking forward to reading the “other” guys’ bios. Well done gentlemen…thanks to Hawk and CL for pulling these together. I look forward to meeting those of you I have not and competing with each of you in just a few short weeks. Great stuff. Nice to get some background info on all the guys. nah, pretty cool to get to know more about each of you guys. Good luck fellas. Glad to be battling it out against you guys. Well done gentleman, that was a great read. Love reading the bios. Great insight into the the MC participants and their golf games. Thanks for a great read. Great stuff guys, I’m honored to be on your team! Great Bios! It is exciting to see this thing getting closer!!! Congrats to everyone! Great stuff everyone! A great team! I enjoyed reading that. Thanks for putting that together Hawk and Chunky. I learned a lot about my teammates I didn’t know. Sure is a strong bunch of guys and I am proud they are my teammates and brothers! Great work CL and Hawk. I enjoyed reading everyone’s responses. Great bios guys! Reading a bit about yourselves and your thoughts about your sponsers has been really cool. come on team paradise. awsome bios now lets get the job done! Great job everybody! I love reading these and getting to know all of the Paradise team.